2011 rendering of “Boise Field” concept on Main St. in Boise’s west downtown. 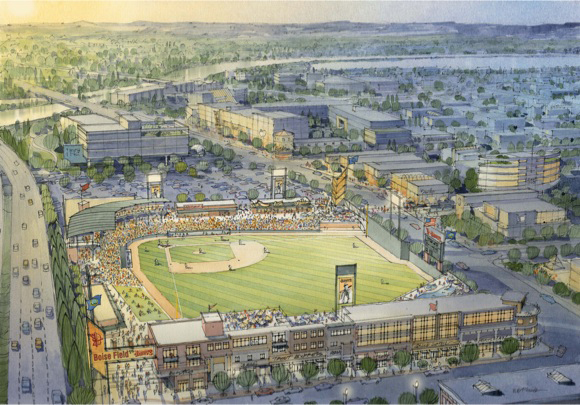 City officials have long had a downtown Boise stadium on their wish list. 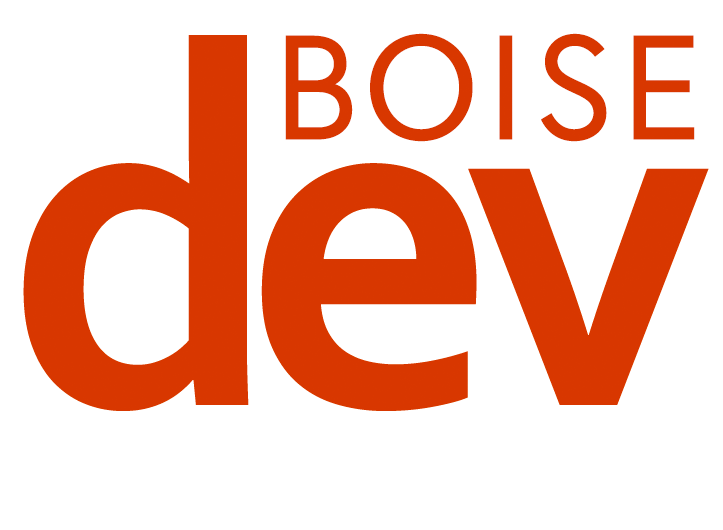 in August, Boise’s mayor hinted to a small group of Boise Young Professionals members that there could be progress on a downtown stadium in six to eight months. 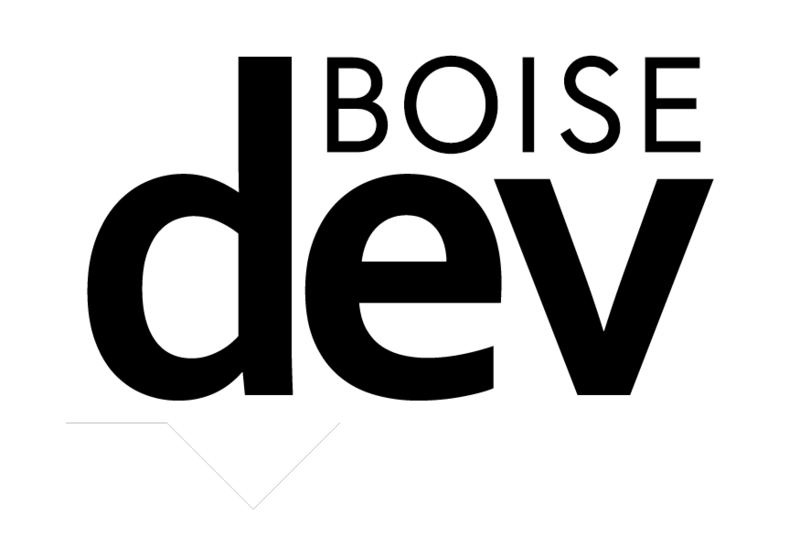 The Capital City Development Corp. has $150,000 in funds tucked away in the budget this year for a “Multi-Purpose Stadium Assessment.” The dollars are allocated to the agency’s River/Myrtle-Old Boise district which covers the eastern and southern portions of downtown. The money hasn’t formally been earmarked any further – but could go to studies, reports, design work or “general exploration” of the idea, I’m told. CCDC officials said the dollars are allocated to the River/Myrtle-Old Boise area because they think that’s the most likely spot for a possible stadium. That begs the question: where, exactly? At 340 acres, the “RMOB” is the largest current renewal district. For the most part, the land is developed or developing. There are a few sites that could… maybe… host a stadium. The one that looks most-promising from studying at the map (ignoring all those pesky logistics like land acquisition etc. ), could be an area just south of JUMP. The site at 11th and Myrtle currently includes a smattering of warehouses, a dirt parking lot and the like. With JUMP, Parcel B, Simplot and The Afton all moving in nearby, this area could be an interesting target for future development. The mouth of the Connector. This site is oddly shaped and a bit tight, but is one of the largest blocks of empty land on the RMOB. The former Kmart site on Americana, currently home to backoffice functions for St. Luke’s Health System. With SLHS expanding on Park Blvd., this plot of land could come back on the market. The so-called Yanke property at 10th and Front. This site is a prime piece of land right near the downtown core that currently is home to a surface parking lot. It would be very tough to shoehorn any type of stadium here. All of these ideas face significant challenges – it will be interesting to see what, if anything develops.